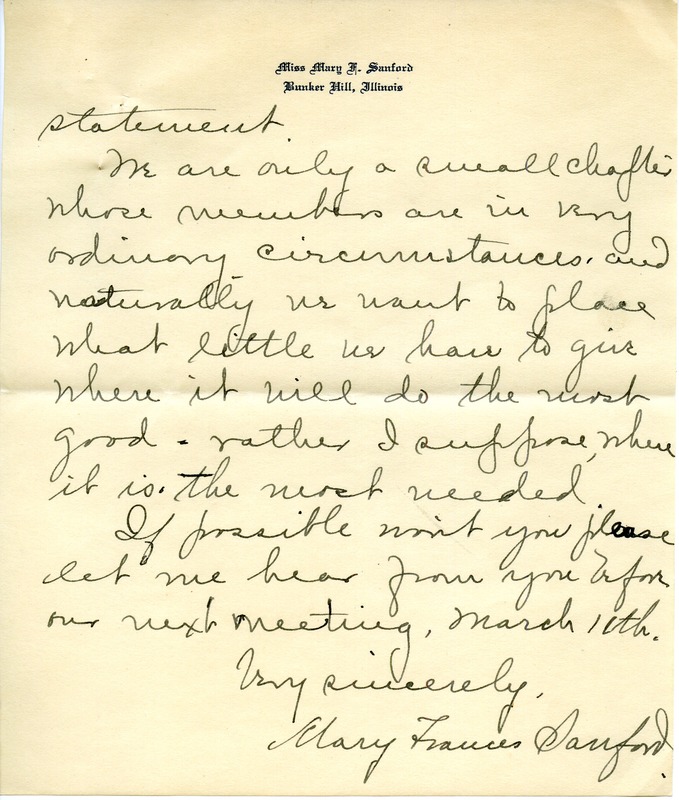 Mary writes to Martha with concern about the endowment that Berry has according to their state regent. 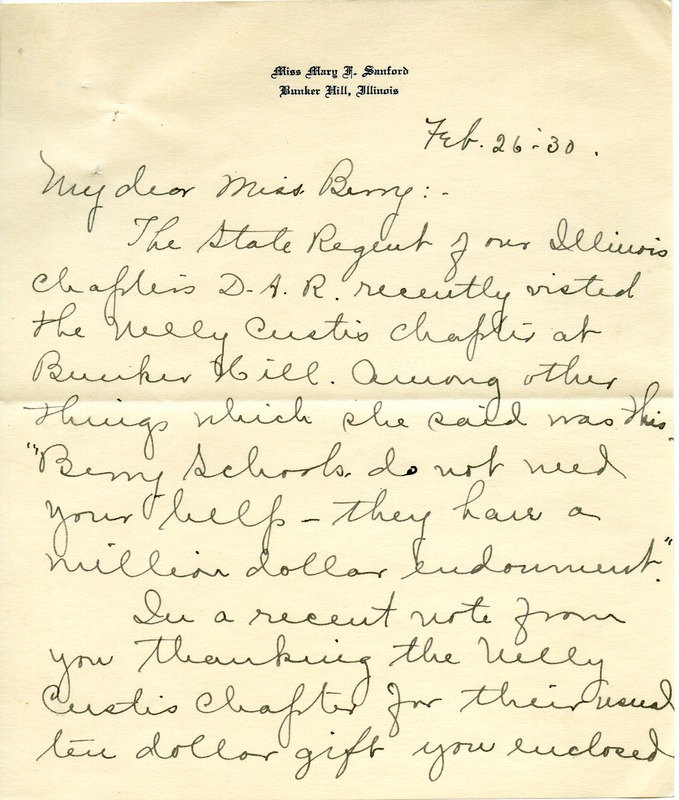 The state regent had told the chapter to not give to Berry because they had a million dollar endowment, whereas Mary remembers the pamphlet that Martha had sent to the chapter, she was now writing to try and clear the facts not believing that Martha would not misrepresent the facts. 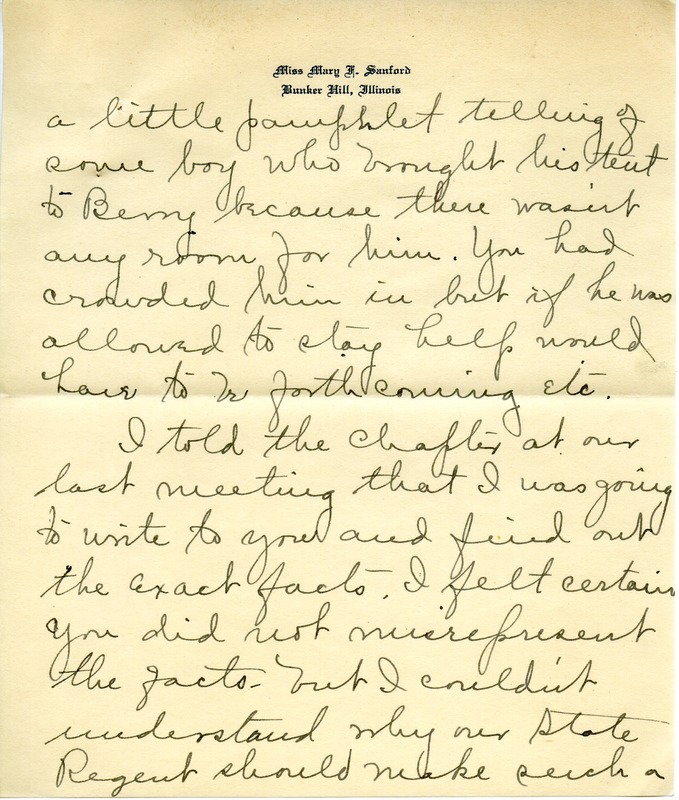 Miss Mary Sanford, “Letter to Martha Berry from Mary Sanford.” Martha Berry Digital Archive. Eds. Schlitz, Stephanie A., Jordan Brannen, Aaron Jackson, Meg Ratliff, et al. Mount Berry: Berry College, 2014. accessed April 25, 2019, https://mbda.berry.edu/items/show/13943.